Dr. Oded Gottesman, CTO of Compandent Inc., technology IP expert witness in such areas as telecommunications, cellular phone, and signal processing, provides expert witness services, prior art search, and related consulting for patent infringement, trade secret disputes, and related matters. Dr. Gottesman has more than 17 years of experience as an expert witness, deposed 14 times. testified 4 times in Jury trial and 2 times in ITC trial, worked on IPR and Ex Parte Reexamination petitions, and wrote numerous reports. Among his areas of expertise are DSP, telecommunications, cellular networks (3GPP, 3GPP2, GSM, 4G, GSM, CDMA, TDMA, etc. ), packetized networks, VoIP, streaming systems, real-time systems, timing and synchronization in cellular and other networks, location and position systems (UTDOA, GPS, A-GPS, AOA, etc. ), source coding, channel coding, error control coding, algorithms, speech coding (CELP, ACELP, MELP, G.729D, AMR, AMR-WB), audio compression (MPEG MP3, AAC), video compression, signal compression, algorithms, software, hardware, embedded systems, smartphones, portable devices, client-server, web applications, and mobile applications, user interface, human interface, and databases. Website programming including HTML, XML, JAVA, CGI, etc. 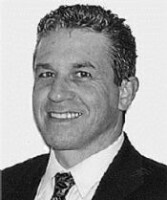 Dr. Oded Gottesman, CTO of Compandent Inc., provides expert witness services, prior art search, source code review, patent infringement, patent invalidity, ITC, Inter-Partes Review (IPR), Ex Parte Reexamination petitions, reports, declarations, trade secret disputes, and related matters. Dr. Gottesman served as an expert witness in several cellular networks and smartphone/tablet device related cases, including network operation, protocols, layers, signal processing, user/human interface, and applications. Dr. Oded Gottesman, CTO of Compandent Inc., technology IP expert witness in areas such as telecommunications, cellular phone, and signal processing, provides world-class expertise and experience in working with leading law firms, expert witness services, patent analysis, prior art search, source code review, hardware examination, patent infringement, patent invalidity, trade secret disputes, and related matters. Among his areas of expertise are telecommunications, cellular networks (3GPP, 3GPP2, GSM, 4G, GSM, CDMA, TDMA, etc. ), DSP, Speech and audio compression standards (codecs) (MPEG MP3, MPEG AAC, MPEG HE-AAC, MPEG, 3GPP aacPlus, Enhanced aacPlus, AMR, AMR-WB, AMR-WB+; EVS, ETSI GSM, CELP, MELP ITU-T, etc. ), video codecs, computers software and hardware, packetized networks, VoIP, streaming systems, real-time systems, timing and synchronization in cellular and other networks, location and position systems (UTDOA, GPS, A-GPS, AOA, etc. ), transcoding between links and networks having multiple timing sources and data rates, source coding, channel coding, error control coding, algorithms, speech audio and video processing, signal compression, algorithms, software, hardware and implementation, embedded systems, smartphones, portable devices, client-server, web applications, and mobile applications. Dr. Gottesman served as an expert witness in several cellular networks and smartphone/tablet device related cases, including network operation, protocols, layers, signal processing, codec, user/human interface, and applications. For the past 17 years, Dr. Gottesman has served as an expert witness in several cellular networks and smartphone/tablet device related cases, including network operation, protocols, layers, signal processing, user/human interface, and applications. He owns international patents in the area of speech coding, and transmission over degraded channels such as cellular networks and packetized networks. Research and development projects for the National Security Agency (NSA) and NATO. Providing world-class expertise and experience in working with leading law firms, providing expert witness services, prior art searching, and related consulting for patent infringement, trade secret disputes, and related matters. Among areas of expertise are DSP, telecommunications, cellular networks (3GPP, 3GPP2, GSM, 4G), packetized networks, VoIP, streaming systems, real-time systems, timing and synchronization in cellular and other networks, location and position systems (UTDOA, GPS, etc. ), transcoding between links and networks having multiple timing sources and data rates, source coding, channel coding, error control coding, algorithms, speech and audio processing, signal compression, algorithms, software, hardware and implementation. Served as expert witness in several cellular networks and smartphone/tablet device related cases, including network operation, protocols, layers, signal processing, user/human interface, and applications. Starting and running a small startup company developing for outsourcing of DSP R&D and implementation, and licensing intellectual property. Developing technologies for various communication networks, including a cellular network, satellite network, telephone networks, packetized networks, and military networks. R&D and implementations of technologies related to streaming-media systems. DSP contracts for SignalCom (Microsoft company) and the Department of Defense (DoD, DARPA, NATO). DSP hardware and software. R&D and implementation DSP projects – low-rate speech coder, noise cancellation, and communication for wireless applications and streaming media applications for environments that include various timing synchronizations, error control coding (such as FEC), modem (various modulations), etc.. Voice communication product development for cellular networks, wireless networks, packetized networks, VoIP, satellite communication, military and security radio devices, etc.. Exploring advanced robust positioning methods that combined methods such as GPS and cellular network signals. Developing proprietary timing and synchronization solution for links and systems with multiple data timings. Development and implementation of adaptive algorithms, networking protocols, multi-tasking, embedded systems, timing and synchronization, etc. Inventor of a patent for transmission of signals over a degraded channel such as cellular network, and packetized network. The company developed, manages the production, and sells a line of proprietary electronic boards and standalone devices, or can be embedded in other devices or systems having different timing sources, in synchronous and asynchronous links. Developed many proprietary algorithms and solutions, serving clients all over the world. R&D projects implementations and contributions to the US DoD & NATO MELPe secure voice standard. DSPC is a cellular technologies manufacturer of cellular phone chipset that includes the cellular network interface and the voice compression. Researching and developing a proprietary multi-rate speech coder at 4-8 kbps. The project included C simulations for floating-point and fixed-point arithmetic as well as Vector-Quantizer (VQ) design for each rate and research of various LSP quantizers. Leading the development and implementation of PDC’s PSI-CELP and VSELP standards on the company’s chipset (masked on TI’s TMS320c54x). Developing a noise-canceller for a digital-cellular phone. The PDC chipset has become the flagship of the company. Oded’s contribution was the key in turning DSP Communications, from a poor company in 1994, into a very successful one, leading to a $1.6 billion acquisition by Intel. Optibase/VCON is a manufacturer of streaming media systems. Managing and leading DSP audio team in the implementation of DSP video-teleconferencing and streaming multi-media system that combined G.728, G.722, and AEC. Researching and developing a proprietary Acoustic-Echo-Canceller (AEC) for teleconferencing and multi-media applications. Implementation of digital-coding system which combined G.728, G.722 and AEC. Company’s Co-Advisor for Technion IIT’s students project. Co-advising Prof. David Malah‘s students at the Technion, Israel, who were engaged in a project of implementing the CELP+ algorithm, sponsored by Optibase. Writing the M.Sc.’s degree thesis in the Signal Processing Research Department in the area of LD-CELP wideband speech coding at 32 kbps. The project included research, design, development and implementation of the coder on AT&T SURFboard using two AT&T WE DSP32C DSPs in a parallel processing manner. Comverse’s Trilogue message management systems have DSP boards that interface between the upper-level software and the telephony boards. The real-time DSP software includes various DSP algorithms, as well as the control for the telephony board, and a speech recognition module. Function: Designed and implemented Digital Signal Processing algorithms using the Texas-Instruments TMS320c25 and the NEC µPD77p25 processors. The DSP software included speech coding, tones detections in presence of voice and noise, tones generation, ring detection, FAX communications, etc. The software handled several channels simultaneously. Managed the hardware-software integration cooperating with the hardware engineers and the upper software’s programmers. Optisk Laboratorium manufactures optical filters. This process is done using a big and noisy evaporation chamber. It is operated using a highly noisy output curve, which reflects the optical filter’s layers. In order to control this process automatically, Oded built some hardware and wrote software for filtering and predicting the curve. The estimated curve was used for switching the control of the evaporation process. 2003 AT&T Corp. v. Microsoft Corp., 01-CV-4872 (WHP) (2001) (on behalf of Microsoft), testifying expert (deposed). 2006-2010 TruePosition Inc.: TruePosition Inc. v. Andrew LLC, 05-cv-747-SLR (D. Del. ), testifying expert (deposed, testified at trial). 2009 Landmark Media Enterprises: ShopNTown, LLC v. Landmark Media Enterprises, LLC, 2:08-cv-564 (E.D. Va.), testifying expert (deposed). 2010-2011 Nokia Corp.: Apple Inc. v. Nokia Corp., In the Matter of Personal Data and Mobile Communications Devices and Related Software, Investigation No. 337-TA-710 (ITC), testifying expert (deposed, testified at ITC trial). 2010-2011 Triangle Software, LLC: Triangle Software, LLC v. Garmin Int’l, Inc., 10-cv-1457 (E.D. Va.), testifying expert (deposed, testified at trial). 2010-2011 eTool Development, Inc.: eTool Development, Inc. v. National Semiconductor Corp., 2:08-cv-196 (E.D. Tex. ), consulting expert (deposed). 2011-2012 Microsoft Corp.: Microsoft v. Barnes & Noble, In the Matter of Certain Handheld Electronic Computing Devices, Related Software, and Components Thereof, Investigation No. 337-TA-769 (ITC), testifying expert (deposed, testified at ITC trial). 2012-2013 Mosaid Technologies Inc. vs. Sony Ericsson Mobile Comm. (USA), Inc. and HTC America, Inc., C.A. No. : 11-598-SLR, testifying expert (deposed). 2013-2014 TruePosition, Inc. v. Polaris Wireless, Inc., Civ. Action No. 1:12-cv-00646 (D. Del. ); Polaris Wireless, Inc. v. TruePosition, Inc., Case No. IPR2013-00323 (PTAB), testifying expert (deposed). He is also the Chief Technology Officer (CTO) of Compandent Inc. He pursued PhD research, Post Doctoral research, and taught at the University of California Santa Barbara (UCSB). 17 years of experience as Expert Witness including testimony, expert reports, software and hardware reviews, declarations, reports, jury trials, ITC trials, Inter-Partes Review (IPR) and, Ex Parte Reexamination petitions. Among his areas of expertise are DSP, telecommunications, cellular networks (3GPP, 3GPP2, GSM, 4G, GSM, CDMA, TDMA, etc. ), packetized networks, VoIP, streaming systems, real-time systems, timing and synchronization in cellular and other networks, location and position systems (UTDOA, GPS, A-GPS, AOA, etc. ), transcoding between links and networks having multiple timing sources and data rates, source coding, channel coding, error control coding, algorithms, speech audio and video processing, signal compression, algorithms, software, hardware and implementation, embedded systems, smartphones, portable devices, client-server, & web applications. O. Gottesman and A. Gersho, “Enhanced Waveform Interpolative Coding at Low Bit Rate,” in IEEE Transactions on Speech and Audio Processing, vol. 9, November 2001, pp. 786-798. O. Gottesman and A. Gersho, “Enhancing Waveform Interpolative Coding with Weighted REW Parametric Quantization,” in IEEE Workshop on Speech Coding Proceedings, pp. 50-52, September 2000, Wisconsin, USA. O. Gottesman and A. Gersho, “High-Quality Enhanced Waveform Interpolative Coding at 2.8 kbps,” in Proc. IEEE ICASSP’2000, vol. III, pp. 1363-1366, June 5-9, 2000, Istanbul, Turkey. O. Gottesman and A. Gersho, “Enhanced Analysis-by-Synthesis Waveform Interpolative Coding at 4 kbps,” EUROSPEECH’99, pp. 1443-1446, 1999, Hungary. O. Gottesman and A. Gersho, “Enhanced Waveform Interpolative Coding at 4 kbps,” IEEE Workshop on Speech Coding Proceedings, pp. 90-92, 1999, Finland. O. Gottesman, “Dispersion Phase Vector Quantization For Enhancement of Waveform Interpolative Coder,” IEEE ICASSP’99, vol. 1, pp. 269-272, 1999. O. Gottesman and Y. Shoham, “Real-Time Implementation of High Quality 32 kbps Wideband Speech LD-CELP Coder,” EUROSPEECH’93, 1993. O. Gottesman and Y. Shoham, “Real-Time Implementation of High-Quality Wideband-Audio LD-CELP Coder at 32 kbps Using Two-DSP Hardware,” ICSPAT’93, Newton, MA, USA: DSP Associates, pp.1379-82 vol.2, 1993. Oded Gottesman and Allen Gersho, “REW parametric vector quantization, and dual-predictive SEW vector quantization for waveform interpolative coding,” U.S. Patent Application No. 09/811.187, March 16, 2001. Oded Gottesman, “Redundant compression of techniques for transmitting data over degraded communication links and/or storing data on media subject to degradation,” U.S. Patent Serial No. 6,614,370, September 2, 2003. M.Sc. Thesis: “Low Delay CELP Wide Band Speech Coding at 32 kbps”. The research was performed in AT&T Bell Labs, Murray Hill.